Having outlined the benefits of grassland management, what are the common mistakes made on-farm? Sulphur’s importance as a plant nutrient is under-estimated on grassland. Where sulphur is applied: JNitrogen is used more efficiently by the plant. There are consistent increases in grass yields of between 10% on clay soils and 35% on sandy soils, where sulphur has been applied on intensive grazing and silage systems. JIt increases silage protein, sugars and digestibility. Nitrogen leaching is reduced on sandy soils. If a 10% yield increase on a 10-tonne DM/hectare silage crop was assumed, this could potentially give you an extra 11,500 MJ of ME per ha, enough to produce an extra 2,100 litres of milk. Recommended application rates are 30-50kg SO3/ha per cut. Cut earlier rather than later if required. Harvest date is the most important factor affecting grass silage quality and yield. Yield increases as harvest date is delayed, but quality declines. When harvest date is delayed by two weeks in May, it can result in silage with: 3-4% lower crude protein. Lower potential dry matter intakes. A 1% increase in silage protein can save a dairy farmer 6p/cow/day in feed costs. Soil pH: 52% of grassland soil samples have a pH below 6, when the target range for grassland is 6.3-6.7. Soil phosphorus: 36% of grassland soil samples are index 0 or 1 and only 30% of samples are at target index 2. Soil potassium: 42% of grassland soil samples are index 0 or 1 and 41% of samples are at target index 2. Only 9% of all UK soil samples are at target index for both P and K.
Source: Professional Agricultural Analysis Group Collation of data from routine soil analysis in the UK 2015/2016 (www.nutrientmanagement.org/paag-report-2015-16/) The correct soil pH is fundamental for the efficient utilisation of both organic and mineral fertilisers. “At farm level every €100 investment in lime equates to about 700 in extra grass production annually” – Teagasc, Johnstown Castle. By leaving weed control until the following spring, control will not be as complete. The costs of a timely application during early establishment are no higher, but the benefit of eliminating weed competition and providing a ‘clean-start’ for the new ley is significant. Timing of application is critical. Weeds must be treated while they are in active growth and still within the size/growth stage limits stated on the product label. Choice of product is vital to maintaining clover-rich swards. Clover safe options are available such as CloverMaster and Squire Ultra. And again, the timing of the clover safe application is equally crucial. The soil is the basis of everything which happens in grassland. It is not just about Ps and Ks but every aspect of the soil. Unless you get your soil right, you may be wasting your time and money on getting the latest varieties of grass, fertilisers and crop protection. Proper soil analysis, carried out at different sites across the farm, can enable you to develop a plan for fertiliser which will allow you to take into account the differences and apply different regimes – making the most of your fertiliser. By using soil analysis which looks at all aspects of the soil – not just Ps and Ks – it is possible to make much better use of slurry and farmyard manure to improve the overall quality of the soil. Many farmers do not challenge their supplier to ensure the varieties they are using are on the Recommended List and also understanding the characteristics of the seed to make sure it suits their needs. If you do not know what you are starting with, then you can’t expect to maximise your forage production. After you’ve taken the final cut of the year make sure any harvesting equipment is cleaned and made ready for winter storage in accordance with the manufacturer’s guidelines. Ideally all machines should be winter serviced and any damage repaired. This should be done before winter and not left until the following spring. Unreliable machinery can soon become very costly, not just in terms of repair bills, but also in lost time and forage quality. As soon as the decision has been made to mow the grass, the clock is ticking. 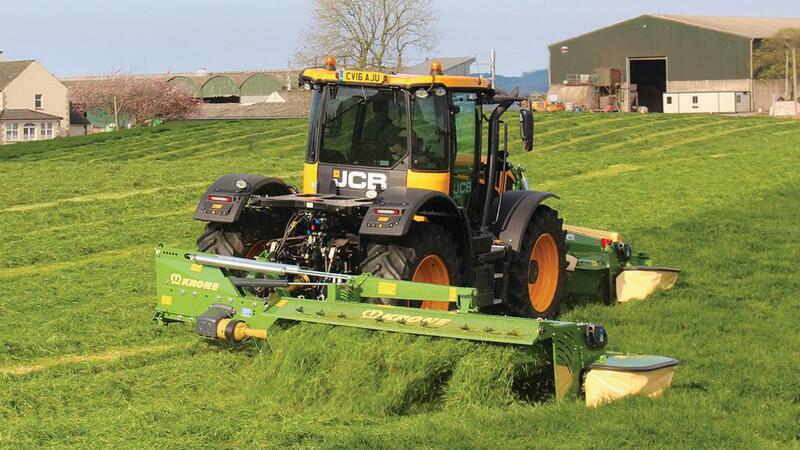 If a piece of equipment lets you down then your grass may be mown after the optimum time, left to wilt for too long or not harvested soon enough, it can result in lower sugar levels and poorer quality silage. Are you or your contractor using the appropriate harvesting machinery? Is it doing the job it was designed for? Do all machines match in terms of productivity? Using a dedicated tedder and rake, instead of a combination machine like a ‘haybob’, can speed up the wilting time by 24 hours and will produce a uniform swath, resulting in a more efficient harvest. Furthermore, machines with a lower productivity will create bottle necks, slowing down the harvest. The key to treating silage is conserving as much of the nutrient value as possible. The more nutrient you start with, the more an MTD/1 silage additive will conserve. While it is clearly important to conserve the nutrient value of silage with a lower nutrient score, it is just as valuable to conserve high-quality silage, so it delivers nutrients, increases production and saves money. In fact, high-quality silage will give a better return on investment when using an additive than lower quality silage. Once the clamp is opened it becomes exposed to oxygen, and ‘bad’ bacteria and yeasts and moulds start to multiply. These use up nutrients, reducing the silage’s feed value. To reduce exposure to oxygen, keep the face clean and tidy using a shear grab or facer. At ground level, remove old, mouldy silage that falls on the floor promptly to prevent it contaminating the rest of the clamp. Also, don’t put the sheet back over the face at feedout, as this encourages yeasts and moulds, increasing the risk of spoilage and heating.